LPWAN (Low Power Wide Area Network) technologies combine low power consumption with a low bit rate and wide area coverage to provide cost effective network solutions for IOT applications. Including such proprietary technologies and systems as LORA and Sigfox LPWAN systems provide a new option for connecting devices. Panorama offers a range of both light duty network infrastructure and device side antenna solutions for LPWAN and ISM technologies. 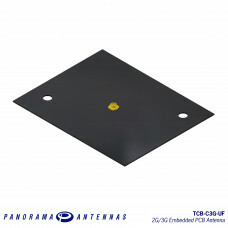 The TCB-C3G-UF antenna is a cost effective PCB antenna covering global 2G/3G frequencies from .. 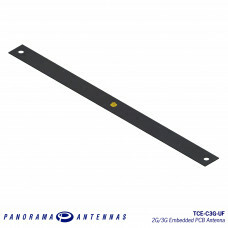 The TCE-C3G-UF antenna is a cost effective PCB antenna covering global 2G/3G frequecies from 8.. The TCF-C3G-UF antenna is a cost effective PCB antenna covering global 2G/3G frequecies from 8..